As noted earlier, Charanga del Norte is a 10 -14 piece group set up in 1998 by the bandleader Sue Miller who is also the author of Cuban Flute Style: Interpretation and Improvisation, a book that garnered great interest when we reviewed it in 2016. Prof. Miller, who teaches at Leeds Beckett University in the UK, is also a member of the Flute Journal Editorial Board, She is currently working on a new book; we will be releasing details shortly. 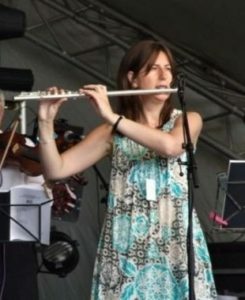 Along with her literary and academic achievements, Prof. Miller, having studied Cuban flute improvisation with the legendary flute player and composer Richard Egües from Orquesta Aragón, is also a top-quality performer. She belongs to that rather rare breed in music who have mastered both theory and practice and she recently had an opportunity to demonstrate both on the same day. 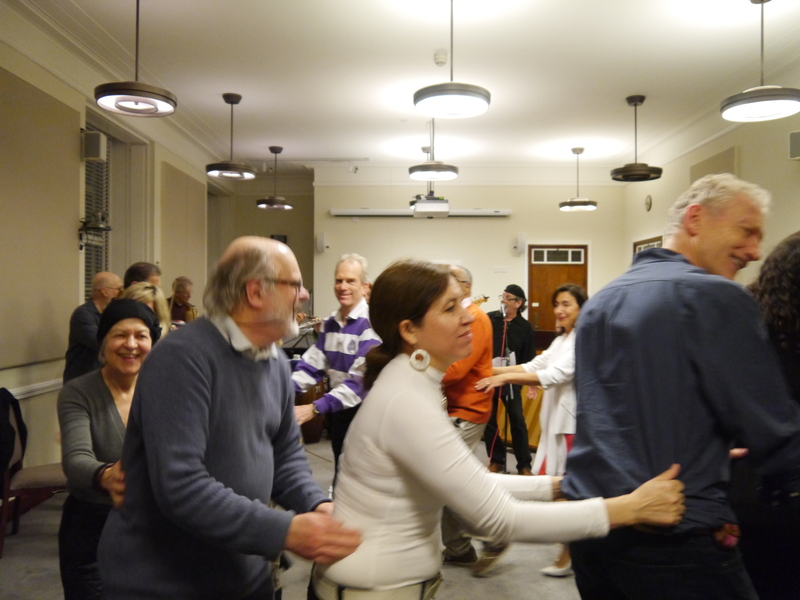 Invited to deliver a paper at an ethnomusicology conference at the University of London, she was also asked to bring along her ensemble so that, at the end of the day, the participants could enjoy some live charanga as well as learning about it. In London for a family gathering as well as the London Jazz Festival, my wife and I were invited to attend this exclusive event, where we enjoyed not only the music but also the sight of a roomful of academics cutting loose! As mentioned previously, Charanga del Norte is celebrating their 20th anniversary year in 2019. To mark the occasion the band will be performing across the UK with featured events including collaborations with animation film maker Guillermo Davis of Iyawo Studios. The group has already performed at many major venues including the Bridgewater Hall in Manchester and at festivals as diverse as Cambridge Jazz, Harrogate International, Sidmouth Folk, and Cheltenham International. They have also supported top international Cuban bands: Buena Vista Social Club’s Eliades Ochoa in the main concert hall at The Bridgewater Hall, and Orquesta Aragon and Changüi de Guantanamo at The Barbican in London. 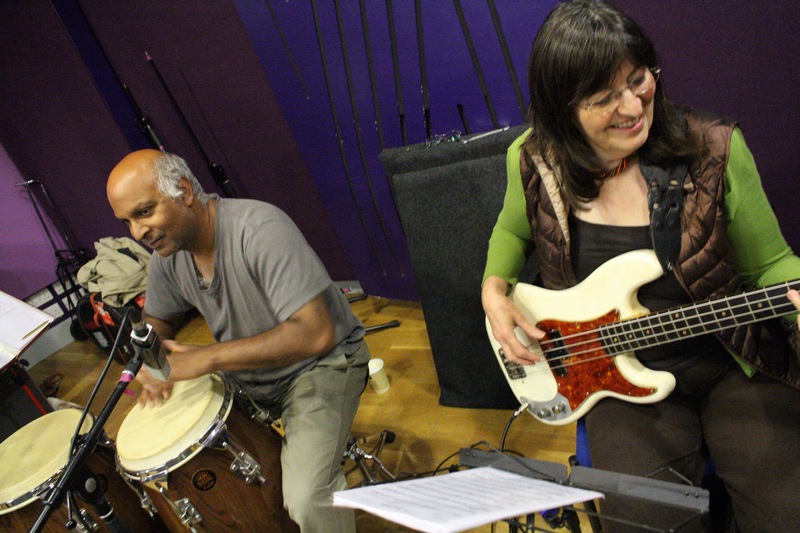 The current line-up of the band features the cream of the crop from the UK salsa scene including Sue Miller on flute, pianist Kim Burton, bass player Ruth Bitelli, singer Guillermo Monroy, and percussionists Dave Pattman and Andy Warner. 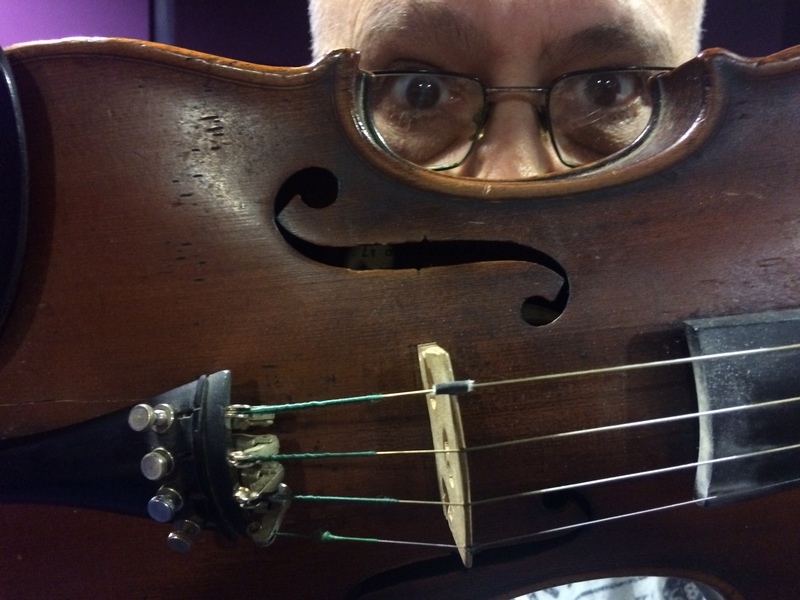 In the string section they have original members violist Nick Williams, violinist Jon Lindh, cellist Andy Wardale from the Hallé Orchestra and violinist Angela Antwi-Agyei from the ground-breaking Chineke Orchestra. 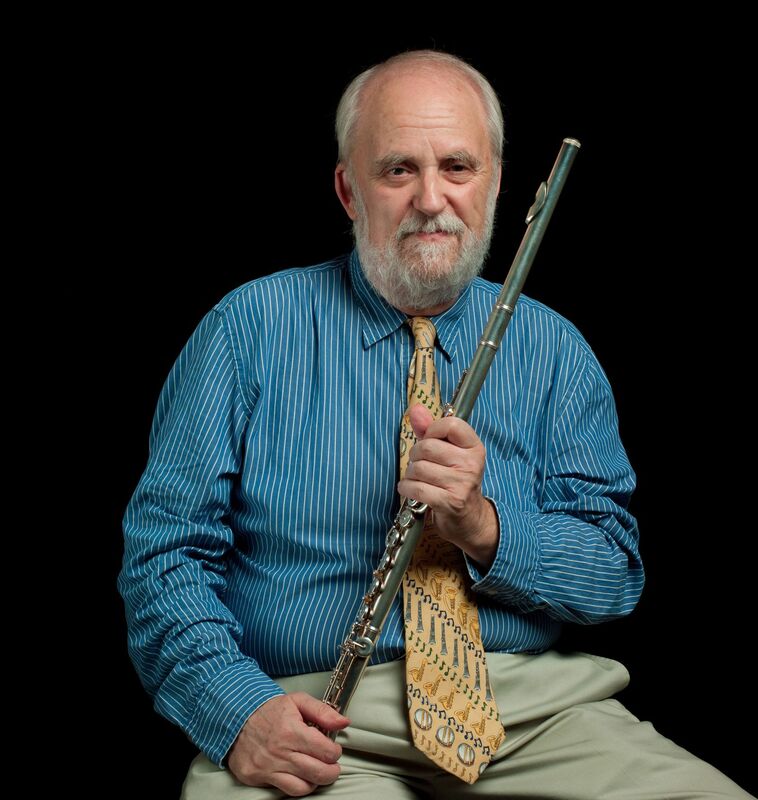 Clarinetist Dave Bitelli made a guest appearance on La Pachanga. Unlike most salsa bands Charanga del Norte features many female instrumentalists promoting a more representative 21st century approach to Latin dance music. I learned afterwards that there were a couple of subs in the band, and there was little if any rehearsal time with them, so there was some sight reading going, particularly among the strings. I certainly would not have spotted this; London-based musicians are noted for their sight-reading skills. I was about to write that the band was tight, but in fact it was loose; it swung like mad from the outset, and it was fascinating to see the audience become progressively more involved as the evening wore on until, at the end . . . well check out the picture to the right! These were eminent academics attending a prestigious conference in a very dignified building. After an hour with Sue Miller and her cohorts, particularly during the encore, El Watusi Descargaall of that went out of the window! With Miller’s flute leading the way — most of the time in the third register (the one thing about Cuban flute style I am not totally fond of) — some bravura solos by pianist Burton, compelling vocal work from Monroy, incisive string playing, rock-solid support from bassist Bitelli and a whole lot of percussion, the time went by way too quickly. 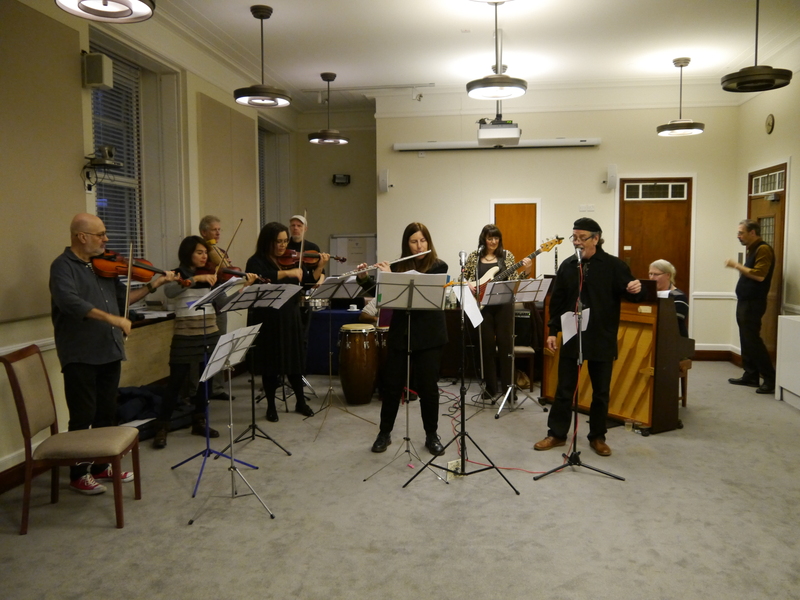 Let’s congratulate Charanga del Norte for its 20 year record and look forward to a year of celebrations, as well as new recordings, new books from Sue Miller and lots of great evenings like this one at London’s Mansion House! Mary Fettig – Brazilian Footprints Andrea Brachfeld — If Not Now, When?